ComPilot provides easy wireless access to TVs, MP3 players and phones to name but a few. It guarantees stable connectivity, best voice quality for phoning and keeps hands free. 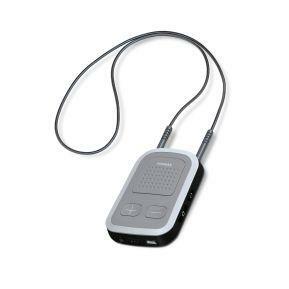 The built-in remote control is designed for ease of use with convenient program and volume changes. ComPilot is the first accessory to offer the benefit of VoiceAlerts making it easier than ever to interact with your hearing aids.